Bharatiya Kisan Sangh was established on 4th March 1979 at Kota, Rajasthan. Mananeeya Shri. Dattopanthji Thengdi, the an expert & efficient organiser and founder of Bhartiya Mazdoor Sangh and such organisations and an internationally acclaimed thinker in both India and abroad and a Bharatiya scholar of pristine purity, had founded it. 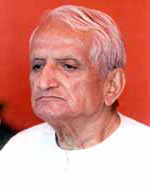 At that time, in Kota, several hundred workers working for the Kisan in various fields, from all the states of this nation, assembled and after deep thought, discussion, and review with the guidance of Mananeeya Dattopanthji Thengdi, had unanimously decided to establish a nationwide organisation with the name Bharatiya Kisan Sangh. 2. To make available information and other related literature in respect of new innovations, improvements, methodologies etc. in the field of Agriculture Technology and to encourage the Kisan to adopt the same. 3. 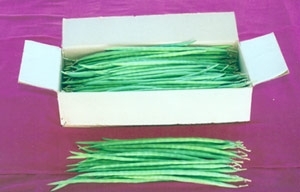 To emphasis to importance and suitability of age old agriculture technique, methodology and to combine the same with modern inventions so as to have ecological security of fertile soil, adequate water, seeds, cattle, plants and biodiversity. 4. To collect, experiment, innovate, improve and publicise the centuries old practices and usages in the agriculture field so as to benefit others as well as to protect the same from being patented. 5. To organise study groups, study tours, exhibitions, symposiums, discussion rounds, rallies, training programmes etc. So as to facilitate solution to various problems and difficulties faced by the Kisan and to encourage and help in carrying out such activities. 6. To combine or join the various institutions at National as well as International level, having same objectives and programmes, so as to facilitate the work. 7. To take help from various labour organisations, Co-operatives and Educational institutions, as well as financial, social and cultural organisation. 8. To protect and enrich the different Indian cow breed as well as other livestock breeds that helps and promotes agriculture activities. 9. To encourage and promote co-operation and cordial relationship amongst Kisan and agricultural laborers as well as other village artisans like carpenter, smithy etc. so as to create a healthy and constructive atmosphere in the village. 10. To undertake various activities and programmes with a view to achieve the objectives as specified above and to protect the interest of Kisans. 11. To impart training to farmers with the co-operation of the Govt. and non Govt. agencies in the management of land and water, energy resources and eco-systems. 12. 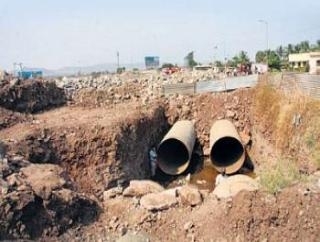 To develop and propagate the use of water saving devices and practices in improved irrigation techniques. Bharatiya Kisan Sangh had expanded in the entire nation within a short while. 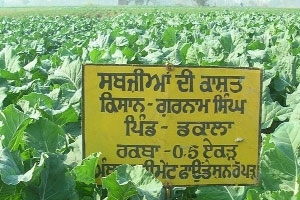 Due to the leadership of the efficient guide and due to the dedicated selfless, devoted team of cadre, the organisation had quick expansion and likewise, even in this era of distrust and want of confidence, the workers due to their selflessness and endeavour, won the confidence of kisan and they, through the organistion, were successful in doing and making others doing various activities for the welfare of kisan. Even within this short time interval itself, Bharatiya Kisan Sangh spread in all the states of the country. In several states, every district is having activities of Bharatiya Kisan Sangh. In some districts, there is the activity of organisation in every taluka. In some fortunate talukas, because of the speed of work, in every village, village committees of Bharatiya Kisan Sangh function. 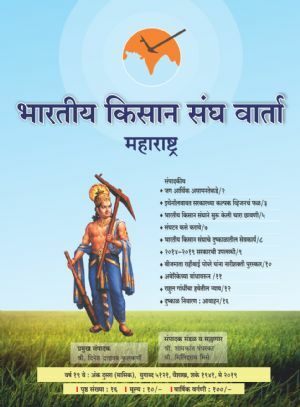 Bharatiya Kisan Sangh awakens the creative power of farmers on one side to protect their interest and to attain their powers it generates the revolutionary spirit, on the other side to develop create and sustain their counter responsibility towards the national society it awakens the patriotism too. To make well and stable economical condition of farmers, important activities such as imparting agriculture training to eliminate loss, to make them wise about the various consumer protection acts, are in progress. Along with co partition, cooperation and co-thinking, by creating mutual trust and through various exercises for social reconstruction, happy and prosperous village life can be a changed. This is the basic concept and ideology of Kisan Sangh. To keep the farmers alert and awakened about various internal and external attacks on the Rashtra and to imbibe in the minds of the farmers about their duty to ward off from these attacks is the outstanding work of Bharatiya Kisan Sangh. Bharatiya Kisan Sangh is registered organisation. Membership is valid for three years and working committees are elected every three years from village level to national level. 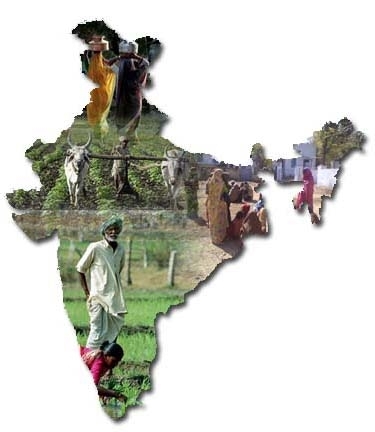 Bharatiya Kisan Sangh has adopted a very wide meaning for agriculture which includes all operations carried out in the field, dairy farming, horticultural, sericulture, fishery, forestry, as well as produce, manufacture, process, trade, business of agricultural products. All persons involved in above activities as well as agriculture labors without any discrimination of caste, religion, language, region etc. is eligible to become a member of the Bharatiya Kisan Sangh. For Village Committee, Development Block Committee, District Committee, Divisional Committee, Provincial Committee, State Committee, Regional Committee and National Committee, Elections are held with family feeling and consensus. These committees, for the entire whole year, are planning and carrying various activities, such as membership enrollment committee formation, monthly Baithak , Refresher Camp, Training camps of various types, meeting, village gathering, conference, tour, farmer fair, animal fair, farmers day, foundation day, visualisation of ideal village, social feast, forest living, cow worship, Bharat Mata pooja, animal competition, fruit, vegetable and flower competition, dharna, gherao , demonstration etc. for helping activities of administration, development and appraisal. Bharatiya Kisan Sangh is a farmer’s organisation par excellence. Farmers are soaked generally in ignorance and non-unity. Due to this, migration of farmers to the urban is on the increase, slums develop, population rises and a number of acute urban crises raise their head. Only to obviate such problems, Bharatiya Kisan Sangh was formed. It regards all the other farmers’ organistion as brother organisation. Bharatiya Kisan Sangh, nurtured in Bharatiya cultural qualities, not only keeps upliftment of standard of living of farmers as its ideology, but, strives for their all-round integral upliftment. So, Bharatiya Kisan Sangh in addition to conducting struggles also educates farmers in various subjects. While pulfing forward the demand for fixation of prices of agricultural produces according to the cost of input, it attends to the dictum that farmers should be self reliant. It tries to make farmers realise that there is no use of running to the government help for all and sundry. It explains to the farmers to reduce unnecessary expenditure to eradicate the practice of eternal debt. The qualities and thoughts induced by Bharatiya Kisan Sangh, induce the farmers to discard bad habits and cultivate saving habit. The feeling of national interest is supreme is inculcated in the minds of farmers. Hence, even though Kisan Sangh is forced to enter in agitations, these demonstrations are held peacefully and in law abiding manner. The Government administration too, welcomes this positive method of approach and takes steps smoothly. To conduct training classes for farmers is a unique phenomenon of Bharatiya Kisan Sangh. These training classes include information about high yielding varieties, cattle breeding. The landowning farmers, who participate in these classes, are induced to pay reasonable wages to the agricultural workers working for them. It is stressed that they should include too the animals used in agriculture, as members of the family and treated accordingly. 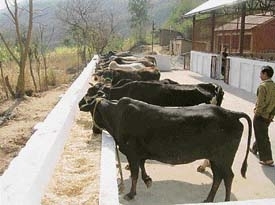 Cow & cow family plays vital role in agriculture .So cow is worshiped in this organisation. Bharatiya Kisan Sangh nurtures the concept that all those who participate in the agricultural sector belong to one family. Due to this, in addition to the upliftment of standard of living of farmers, their moral stature and social feelings are also developed. The harmonious fellings are created by this to help in smoothly solving the quarrels which rise in rural areas now and then. As the feeling of those participating in agriculture is one family is imbibed, there is smooth relationship between all sections of landowners and agricultural labourers. Because of this, suicidal propandas such as class struggle receive mortal blow. To stress the point that agriculture is our economical lifebreath, Bharatiya Kisan Sangh keeps Krishimit Krushasva (Do Only Farming) as its motto. 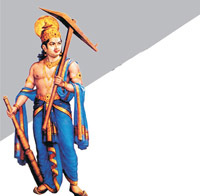 Lord Balaram, carrying plough on his shoulder& Musal in hand is regarded as the family deify of farmers. By celebrating the birthday of Lord Balaram as Farmer’s Day, national and spiritual feeling is injected into the farmers’ movement. 4. Base of Our Organisation: family psyche. 5. Our Dream: Every farmer is our leader. 8. We Believe in: Collective leadership. 9. Suigeneris of Our Organisation: This organisation is not leader oriented but cadre oriented. 11. Our Duty :We will fill up the godowns of the nation. 12. Our Rights : We will take the price based on cost of production. 13. Our Idol: Lord Bhagwan Balram . 14. Our Faith: Entire village one family. Entire rashtra one family. Each and every farmer brother. 15. Our Belief: Those who fritter away from us, they shall unit with us. The Inspiration and founder of Bhartiya Kisan Sangh..
Agriculture God Balramji in Power Effulgent..